The Sarnia Sting are set to retire the number 91 jersey of Tampa Bay Lightning captain and Sting alumni, Steven Stamkos, during an on-ice ceremony Friday, January 12th before the Sting host the Windsor Spitfires at Progressive Auto Sales Arena. Stamkos, the 27-year-old captain of the National Hockey Leagues Tampa Bay Lightning spent two seasons in Sarnia from 2006-2008 after the Sting took him first overall in the 2006 Ontario Hockey League Priority Selection. 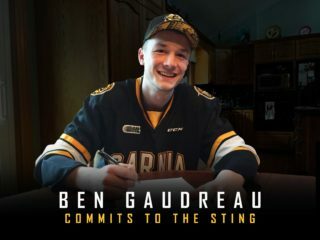 In 124 games with the Sting, the Markham, ON native tallied 197 points (100 goals and 97 assists), becoming a household name in Sarnia before ultimately earning national recognition by being the undisputed first overall pick in the 2008 National Hockey League Entry Draft. Now in his tenth NHL season with the Lightning, fifth as captain of the club. Stamkos has played in 596 NHL games, all of which with the Florida based franchise. He recently recorded his 600th career NHL point on October 22nd bringing his professional career stats to 324 goals and 278 assists. The 5-time NHL All-Star was also the recipient of two Rocket Richard trophies for most goals in an NHL season. The first coming in 2009-10 in just his second NHL season when he had 51 goals. The second in 2011-12 when he found the score sheet for 60 goals on the year. 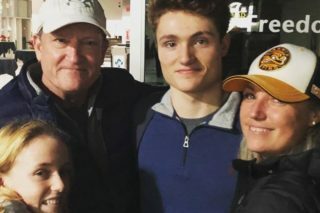 Adding to an already impressive hockey resume, Stamkos has had international success representing Team Canada six times on the world stage, winning Gold for his country in 2008 at the World Junior Hockey Championships and the 2016 World Cup of Hockey. Steven Stamkos will be the only player in the history of the Sarnia Sting organization to don the #91 in a Sting uniform. Ticket sales for Steven Stamkos Jersey Retirement Night will begin Monday, October 30th at 10 AM ET.